We’d love your help. 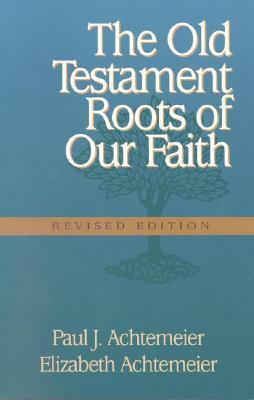 Let us know what’s wrong with this preview of The Old Testament Roots of Our Faith by Paul J. Achtemeier. To ask other readers questions about The Old Testament Roots of Our Faith, please sign up. There were parts of this that were great, but i didnt like all of the assumptions and inferences that were drawn based on higher criticism. Very good book. Not exactly basic but definitely for someone in need of an overview of the OT. Not for someone who's done a fair bit of study. This book started out well—until Replacement Theology stepped in. I cringe that the authors avoided using the terms "Jewish people" or "Judaism" in good light. In fact the only time Judaism was mentioned was when it was described as a legalistic transformation of the "Hebrew religion" (another loathsome word usage by the authors). Moreover, Jews were only mentioned to describe those Israelites who adhered to this legalistic "Judaism" and excluded others who did not. The implicit anti-Semitism of This book started out well—until Replacement Theology stepped in. I cringe that the authors avoided using the terms "Jewish people" or "Judaism" in good light. In fact the only time Judaism was mentioned was when it was described as a legalistic transformation of the "Hebrew religion" (another loathsome word usage by the authors). Moreover, Jews were only mentioned to describe those Israelites who adhered to this legalistic "Judaism" and excluded others who did not. The implicit anti-Semitism of this book is utterly ridiculous, especially for one which claims to unearth the Old Testament roots of the Christian faith. It is as if Christianity inherited everything right and Judaism was simply an aberration from the "true religion"; suffice it to say, it robs Judaism of the truths within it. The last chapter seemed a bit out of place and rushed. In the previous chapters, the authors gradually built up on concepts which will culminate in the idea of a Messiah. Unfortunately, the last chapter does little in explaining why Jesus was the Messiah. The book simply accepts a priori that Jesus is indeed the Messiah and just goes on to talk about the meaning of Jesus' death and resurrection. Nothing was even discussed in the previous chapters that the Messiah had to bear the sins of the world and had to die. Therefore, there is a gap in the overall argument of the book—a gap which I believe is crucial to linking the Old and New Covenants—that the Messiah had to suffer and die.